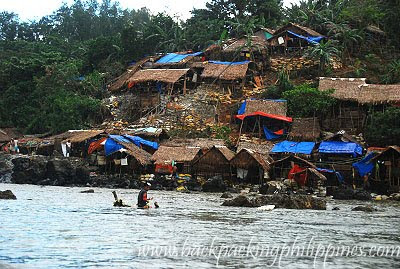 He, however, was able to witness actual gold mining activities on the hill at the mouth of the river of Paracale with houses on stilts precariously perched on the hillside with sand bags and noticeable gold panning activity. 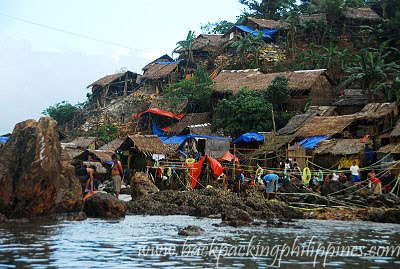 the good and bad of mining, not so evident here but this small town has lots of moneyed small time miners needing "recreation" and also still using dangerous mining practice utilizing mercury (asoge/asogue in Filipino/Tagalog). You can find mercury being sold in a tiangge here. You can also find pure gold being sold here, around PhP2000.00/gram...that's 24 karat gold at very low price straight from the miners themselves. what did Tutubi actually explore in Paracale, Camarines Norte?